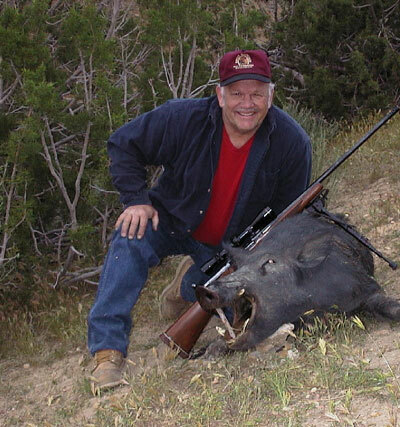 Here is a photo of my recent pig hunt on May 12, 2001. This nice hog was taken near Santa Margarita (California Valley) on the Bar B 6 Ranch. I had a great time and Mr. Tom Ralph, my guide, was an excellent host. 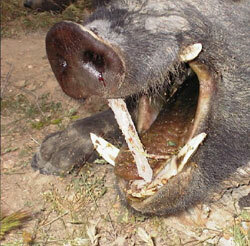 The hog weighed in at about 240 pounds and is expected to be great table fare. I naturally thought of your on-line magazine once I got home and downloaded all of my photos and wanted you to have the photo.